Ironically, Joseph Schmidt enjoyed his greatest successes during the rise of the German Nazis, who subsequently prohibited Jewish artists and writers from working. In 1937, he toured the United States and performed in Carnegie Hall together with other prominent singers such as Grace Moore. The Nazis banned him from performing in Germany and Austria, but he was still very much welcome in the Netherlands and Belgium, where he was immensely popular. In 1939, he visited his mother in Czernowitz for the last time. When the war broke out that year he was caught in France by the German invasion. He attempted to escape to the United States but, unfortunately, this failed. Making a dash for the Swiss border, he was interned in a Swiss refugee camp in Gyrenbad near Zürich in October 1942. He had been already in frail health. Harsh camp life and lack of medical care brought about a fatal heart attack on November 16, 1942. He was only 38 years old. Here he sings Una furtiva lagrima. From an uncredited movie. Here is Dein ist mein ganzes Herz. In truth, I had originally planned to do a post with several different tenors singing this ditty, but once I found Joseph Schmidt, I didn't want to look any further. Let's not forget the artists who fall victim to political rhetoric and warfare, even in our own time. Yes, I have strong political opinions. Sue me. *Harvey isn't an opera but it should be! Hey, composers, hit me up! 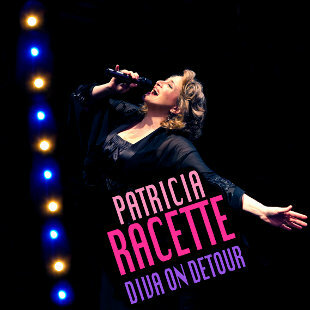 I’m a fan of Patricia Racette, from the days of old when I was in the chorus of a regional opera company that hired Miss Racette to sing Nedda. I’ve been pleased to see the success she has attained in the years since then. Although I haven’t been able to attend any of her live performances since those days in the opera chorus, I’ve seen quite a number of YouTube videos that leave no doubts about her talent and magnetism. Imagine my delight when the kind folks at GPR Records invited me to Pat’s (we’re on first-names basis now) cabaret performances last spring, which were to be recorded for later release on a CD. Alas, I was forced to decline that invitation—I foolishly chose to fulfill commitments I had made previously. What a dolt I was! When the same kind folks sent me a pre-release copy of the CD based on that show, I could hear that it was an event I would surely have treasured in memory for a long time. Fortunately, a great amount of that feeling comes across in the CD, with Pat’s fine vocal stylings of a program of well-chosen standards and charming patter with the audience. Very fine music director and pianist is Craig Terry. This is where I might expound upon the folly of crossover albums, because I don’t like so many that are out there. While it’s possible for a singer to do both opera and cabaret/musical theater effectively, far too many don’t bridge that gap very well. I’m happy to say Pat sounds perfectly appropriate stylistically in nearly all instances. She can use a healthy belt and a healthy mix of head and chest voices like one hears from cabaret and musical theater singers. In fact, the only misstep vocally I hear is when she reverts to amore “legit” sound for "La vie en rose", the last song in an otherwise effective Edith Piaf medley. I’m also happy to report one can understand every word she sings—a major accomplishment. The actual songs? An interesting selection of standards, performed very well by Pat and amazing music director Craig Terry. One of my favorites was the Edit Piaf medley I mention, which included "Milord", "Padam", and "La vie en rose." As an experienced and well-educated opera singer, of course Pat has excellent French, and she performed the songs with a gusto and an understanding of the texts one would expect from an artist of her stature. She imitated just the right amount of Piaf’s vocal mannerisms and cabaret-style French—any more would have been excessive, and any less would have left one wondering what in the world she was doing. Another favorite was “Here’s That Rainy Day”, which Pat referred to as her shower song. I also quite liked the way Pat contrasted “The Man Who Got Away” with the humorous song “To Keep My Love Alive”, which tells of men who would have been lucky to get away. In her introduction to a set of songs that told a bit of a story, Pat talked about how she always sings about women unhappy in love—throwing themselves off parapets, dying of consumption, running themselves through with swords, and so on. In these songs the effect was a bit more subtle—no quick relief coming from a desperate act. In “You’ve Changed”, the singer wonders why things are not the same as they once were. In “Guess Who I Saw Today”, she sings of having seen her man on a date with another woman, and in “Where Do You Start?” she sings of putting together a newly single life. In “So In Love” she sings of remaining in love after separating. Quite an effective set. It was obvious Pat had spent a lot of time living with the lyrics of all these songs, as she portrayed a deep intimacy and urgent emotion in them all. I won’t describe every song, but I will say this is a recording I enjoyed very much, and I highly recommend it. Some of my adoring public know that I've been exiled by a work assignment to Dallas, and I am now in the Dallas Symphony Orchestra Chorus (music director Josh Habermann). That noble orchestra, under the direction of Jaap van Zweden, will present the amazing and complex War Requiem of Benjamin Britten in November. 2012 is the 50th anniversary of the premiere of the work in 1962. 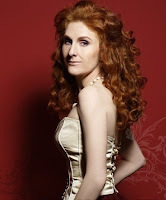 Keeping with one tradition in casting, the DSO has a Russian soprano, a German bass, and a British tenor as soloists: Olga Guryakova, Dietrich Henschel, Ian Bostridge. Peter Pears was unavailable, I hear. The War Requiem, first performed on 30 May 1962, was commissioned to mark the consecration of the new Coventry Cathedral, which was built after the original fourteenth-century structure was destroyed in a World War II bombing raid on the night of 14 November 1940. The reconsecration was an occasion for an arts festival, for which Michael Tippett also wrote his opera King Priam, which premiered in Coventry the night before the War Requiem. 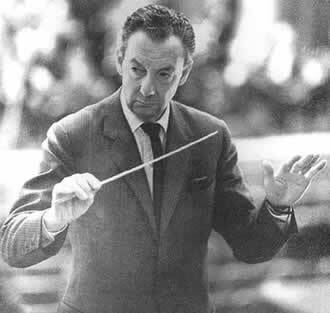 As a pacifist, Britten was inspired by the commission, which gave him complete freedom to choose the type of music to compose. He conceived of setting the traditional Latin Mass for the Dead interwoven with nine poems about war by the English poet Wilfred Owen. Owen, who was born in 1893, was serving as the commander of a rifle company when he was killed in action on 4 November 1918 during the crossing of the Sambre-Oise Canal in France, just one week before the Armistice. Although he was virtually unknown at the time of his death, he has subsequently come to be revered as one of the great war poets. I could post clips of multiple performances of the whole work, but I will spare you. If you are unfamiliar with the War Requiem, I encourage you to procure a recording of the entire work, and to attend a live performance, if you can find one. If it sounds harsh on first listening, listen again. It is considered by some to be the most profund work of the 20th century. I can't say that I disagree. Dietrich Fischer-Dieskau should need no introduction to my readers. But if he does, here is his Wikipedia bio-blurb. He left this world for Valhalla in May. Feel free also to click my Amazon store over there and find some of his sublime recordings of German lieder, among other things. There are dozens--nay, hundreds--of videos of Herr Fischer-Dieskau's amazing performances of lieder, concert works, and opera. I encourage you to look for more!